The same feature-rich editor you’d expect from an offline application plus access to cloud services, collaboration features, revision system, and development boxes – the best of all worlds! Pull out your iPad on an airplane and get stuff done! Great for traveling. 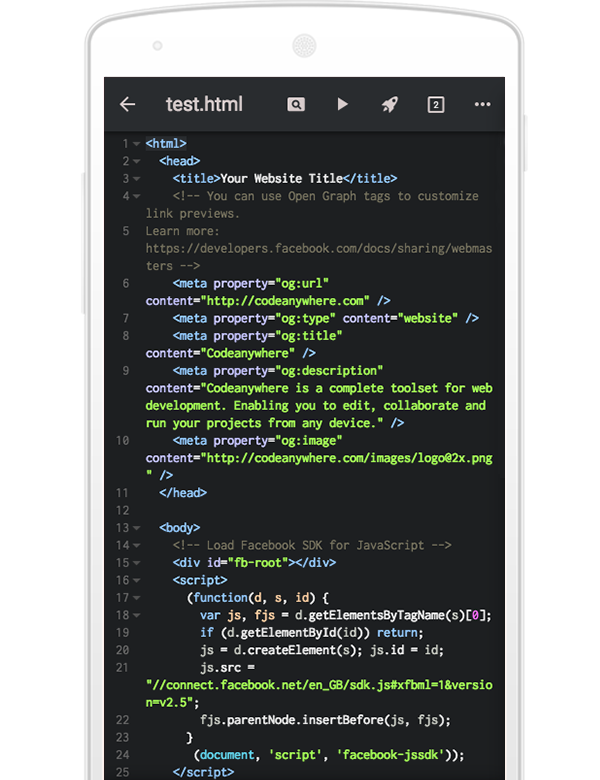 Codeanywhere is a Mobile IDE which includes a text, code also a markup editor and SSH terminal console, that has been redesigned and reengineered to be light, fast, and mobile-friendly. 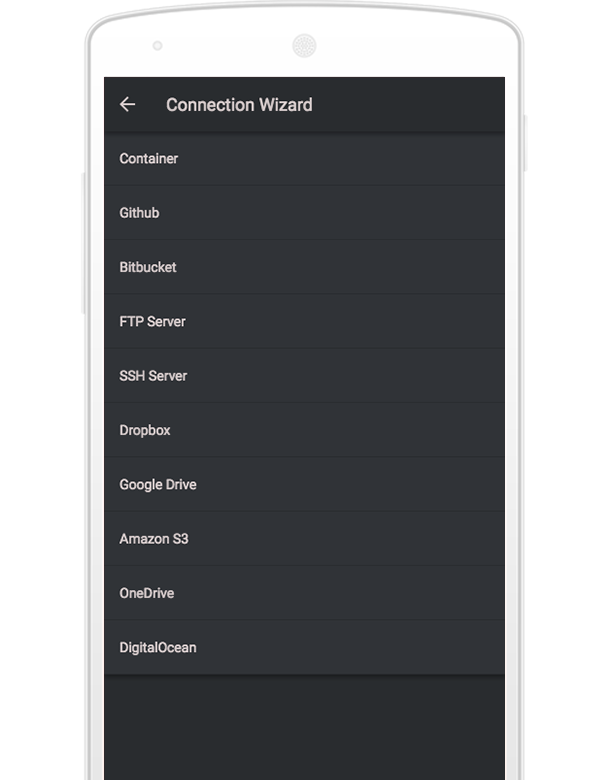 Connect to your VM or FTP, SFTP Servers, Dropbox, Google Drive, OneDrive, Amazon S3, Github or Bitbucket account and easily manipulate your resources, folders or files just with the swipe of your finger. Connect to any machine and use our SSH Terminal as if it was your local. From Bash to Nano to Vi, take your pick. The core feature of Codeanywhere, no matter what device you are using it on is that it is platform agnostic - Connect to any VM from any vendor with any protocol; SSH, SFTP or even FTPS. On top of that you can easily get your cloud hosted files on Dropbox, Google Drive, S3 or OneDrive. Lastly and most importantly, you can pull your repositories from GitHub or Bitbucket in single click. Don't have a server? Just want to start coding? No problem. Codeanywhere can spin up a server in less than 30 seconds! Copy, Rename, Delete, Move and anything else you want to do with your Files and Folders - you can! 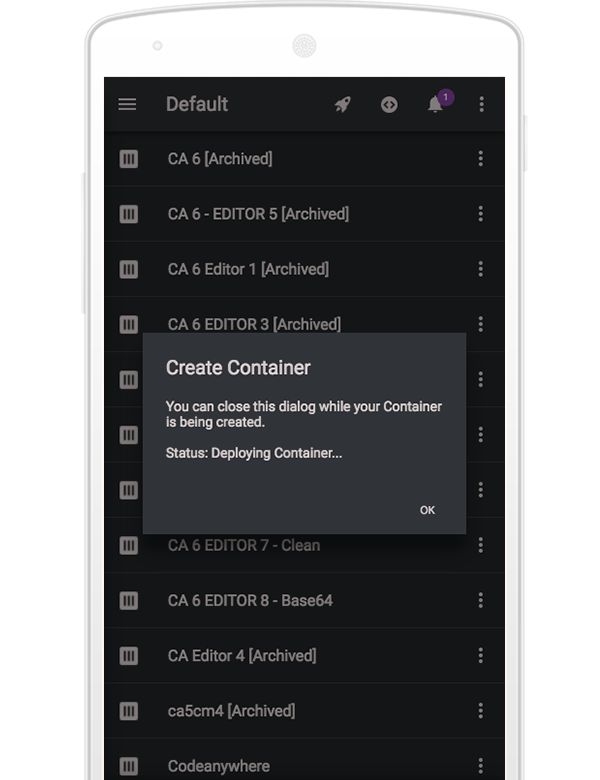 On top of that Codeanywhere will let you transfer files across connections. Codeanywhere includes a practical differential feature that allows you to see differences between revisions and even the ability to revert to previous code states. It's like Super Undo!